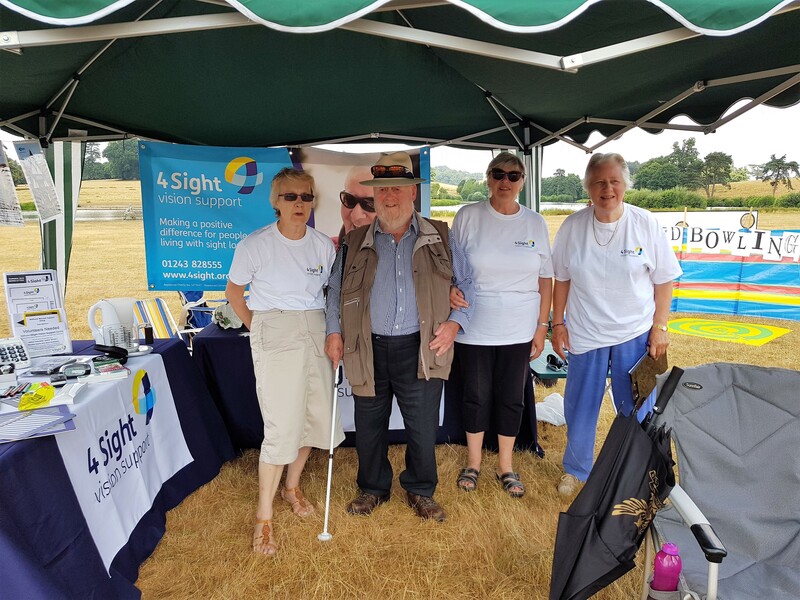 “I have just come in from assisting, in a somewhat octogenarian way, on a stand that 4Sight Vision Support, Midhurst had at the annual Fete in the Park, Petworth. 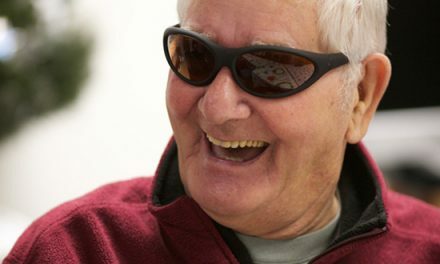 It was almost uncomfortably hot but several people ‘had a go’ at our Blind Bowling, where contestants tried their luck after putting on special spectacles which simulated how various eye conditions affect one’s sight. This in itself was valuable as several people linked the experience with realising how life ‘looked’ for one of their friends or relatives. Other people kindly bought tickets in our 50/50 raffle, but we certainly didn’t raise a significant sum of money for 4Sight due to external events like the Wimbledon finals, the England World Cup match and not to mention the Goodwood Festival of Speed that clogged the roads around the area! Nevertheless, I was convinced of the value of the whole endeavour when I watched Bev interacting with, and supporting, one troubled family. 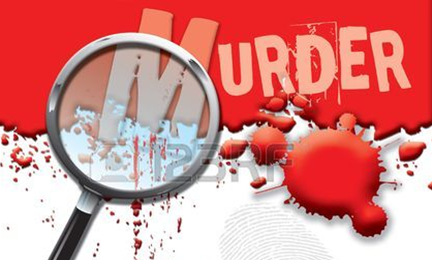 They were from the eastern coastal area of 4Sight’s patch – wife, husband and two youngish teenage daughters. It was the wife who has a medical condition that has now affected her sight. She was naturally and obviously very fearful and distressed and was soon in tears whilst talking with Bev. 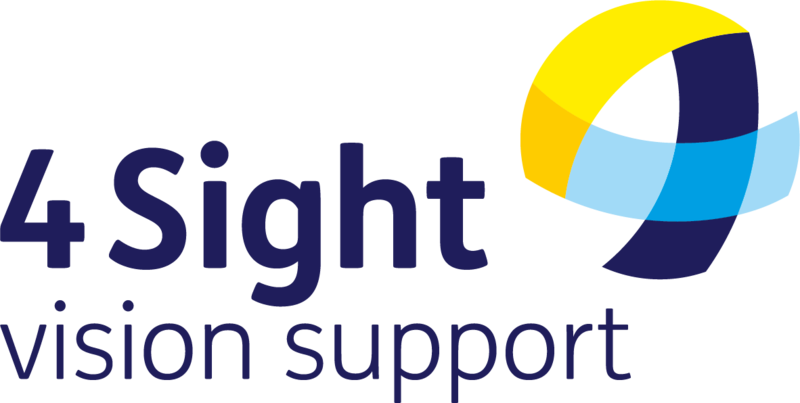 It certainly looked as if all the family were stressed by her situation and it was good that they could listen too, whilst Bev talked with her and told her of 4Sight’s resources and help. 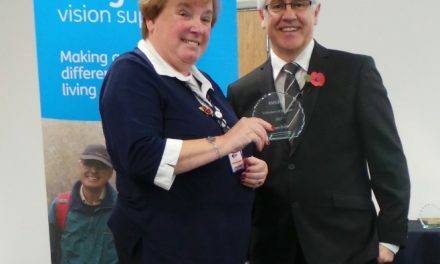 She assured her that she didn’t need to feel isolated in her loneliness whilst living with sight loss because, through 4Sight she could meet others struggling with similar challenges, as well as receiving advice about all the equipment available to help with daily tasks, such as reading and cooking. 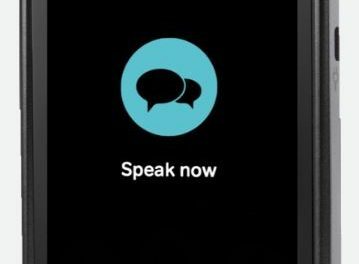 When Bev sensed that the woman might not have the courage to contact 4Sight herself, she took her telephone number and said that one of her colleagues from 4Sight would soon be in touch with her.